Comm Eye Health Vol. 26 No. 81 2013 pp 20. Published online 21 May 2013. 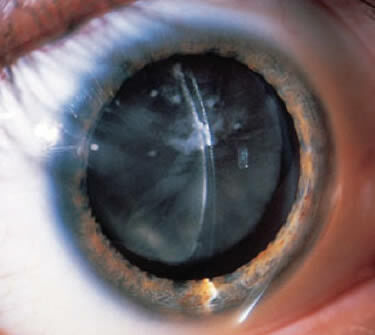 A patient presents with a cataract and lenticular changes as shown. Which of the following is the most likely cause of his cataract?